OAPI proposes changes to the legislation which will affect the OAPI member countries. Two thirds of the OAPI members (12 countries) need to ratify the proposal in order to come into effect. Seven member states have done this so far. - Specific Reference to International Registrations wil be made. The validity of international registrations designating OAPI however is not yet clear since the Madrid Protocol was never formally incorporated into the Bangui Agreement. OAPI’s Directorate of Intellectual Property is to be split into two separate directorates - one for trademarks and another for patents. This follows a resolution adopted at an OAPI board meeting during December 2017. Official notification is expected soon. The Trade Marks Registry of the African Intellectual Property Organization (OAPI) announced that from April 30, 2017, all new trade mark applications which are filed at the OAPI Registry, need to conform to the latest edition (11th) of the Nice classification system on the registration of trade marks. The Intellectual Property Office in the Democratic Republic of Congo (DRC) is currently closed due to political and civil unrest in Kinshasa. An umbrella group of opposition parties, known as the Rassemblement (“Rally”) has called for a general strike, the so-called “Ghost town operation”, to apply pressure on President Joseph Kabila to enter into negotiations surrounding a power-sharing deal and to permit elections to take place later in the year. It is anticipated that situations of unrest will continue to arise intermittently during the course of the year and leading up to the scheduled elections. On December 5, 2014, the African Intellectual Property Organization (OAPI) deposited with the Director General of the World Intellectual Property Organization (WIPO) its instrument of accession to the Protocol Relating to the Madrid Agreement Concerning the International Registration of Marks (“the Madrid Protocol”). The Madrid Protocol will enter into force, with respect to OAPI, on March 5, 2015. The declaration referred to in Article 8(7)(a) of the Madrid Protocol, whereby OAPI wishes to receive an individual fee where it is designated in an international application, in a designation subsequent to an international registration and in respect of the renewal of an international registration where OAPI has been designated (instead of a share in the revenue produced by the supplementary and complementary fees). The African Intellectual Property Organization (OAPI) announced that the Comoro Islands ratified the Bangui Accord on March 25, 2013. Accordingly, the Comoro Islands is now a full member of OAPI. Since the Comoros Islands has not yet legislated Intellectual Property laws, right holders who seek to protect their rights in the Comoro Islands can only publish a Cautionary Notice. Therefore, all trademarks filed with OAPI on or after March 25, 2013 will be effective in the Comoro Islands. As for other registrations filed prior to the said date, they will be granted an extension period automatically on their next renewal after March 25, 2013. By its adherence to the Bangui Accord, the Comoro Islands brings the total number of Member States of OAPI to 17. The OAPI’s Members now include Benin, Burkina Faso, Cameroon, Central African Republic, Chad, Congo, Côte d'Ivoire, Gabon, Guinea, Guinea-Bissau, Mali, Mauritania, Niger, Senegal, Togo in addition to Comoro Islands. The OAPI (or AIPO) states are a union of French speaking African countries. The member states are treated as one state in trademark law. Apart from that there is no national trademark law in the member states. Therefore it is not possible to obtain national registrations in these countries. Legal basis is the Treaty of Libreville of 1962 (in force since January 1st, 1964) revised by the Bangui Treatment of 1977. Existing trademarks can be extended to new member states within 18 months. AIPO/OAPI becomes a member of the Madrid Protocol on 5 March 2015. Benin, Burkina Faso, Cameroon, the Central African Republic, Chad, Comoro Islands, Congo, Equatorial Guinea, Gabon, Guinea, Guinea-Bissau, Ivory Coast, Mali, Mauritania, Niger, Senegal and Togo. Registrable as a trademark is any visible sign capable of distinguishing the goods and services of any enterprise, including in particular surnames by themselves or in a distinctive form, special, arbitrary or fanciful designations, the characteristic form of a product or its packaging, labels, wrappers, emblems, prints, stamps, seals, vignettes, borders, combinations or arrangements of colours, drawings, reliefs, letters, numbers, devices, pseudonyms. The application is filed at the Central Office in Yaoundé (Cameroon). It can also be filed at the Liaison offices located in all member states. Multiple-class applications are possible. However, separate applications have to be filed for goods and services. A non-legalized power of attorney is sufficient. The power of attorney must be signed, dated, with the name and title of the signatory inserted. For each trademark a new power of attorney is necessary. For many trademarks filed on behalf of the same applicant on the same day, a single power of attorney is sufficient. The application process includes only a formal examination, without indication of possible identical or similar trademarks. After registration, the trademark is published in the official Trademark Bulletin. The opposition period is 6 months from the publication date of the trademark in the Official Gazette. An appeal against an opposition decision can be filed by anyone with the High Commission of Appeal. The High Commission of Appeals is a body responsible for ruling on appeals in review for the assignment of titles. Anyone challenging a decision made by the Director General may seize the Commission. member of the Madrid Protocol since March 2015. The legislation of the OAPI (i.e. Bangui agreements) has not been modified to the Madrid Protocol yet. The grace period for renewals is 6 months from the expiry date of the mark with late payment of fees. If the trademark has not been used within 5 years from registration or has later not been used for a continuous period of 5 years, it may be subject to cancellation at the request of any interested party. Use in one member state suffices to satisfy the use requirement for all member countries. Proof of use is no longer required for renewal applications filed after entry into force of the new law on February 28th, 2002. The official fee for filing a trademark application is XAF 400,000 for up to three classes and XAF 82,000 for each additional class. For claiming colour or coloured trademarks an official fee of XAF 50,000 is added for the publication in colour. 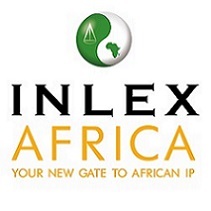 INLEX AFRICA is the first French Intellectual Property Firm located in AFRICA. After developing continuously its expertise during 20 years in France, Eric SCHAHL and Franck SOUTOUL have decided to open an office for the support and protection of their client’s interests in AFRICA. Therefore and since June 2014, we opened our office in Yaounde (Cameroon), which is managed by Jeremy GIACOPAZZI (OAPI Trademark & Patent Attorney). OAPI system is unique as it affords to the Applicant a single regional title of protection valid in 17 French-speaking African countries namely: Benin, Burkina Faso, Cameroon, Central African Republic, Chad, Congo, Ivory Coast, Equatorial Guinea, Gabon, Guinea, Guinea-Bissau, Mali, Mauritania, Niger, Senegal, Togo, Comoros. Thanks to its long experience in France and its European working know-how, the team INLEX AFRICA will be the best representative to reply to your legal or administrative queries, and is able to intervene on the whole African territory, thanks to the opening in October 2016 of 2 hubs in Mauritius (Ebene Cyber city) and in Morocco (Casablanca).